Our primary mission is to provide our clients with quality service. Why choose German Import Service? Quality– We are always using the best possible equipment, parts, fluids and personnel. Dedicated – We always make recommendations by order of priority so the customer can plan for future service needs. Service– Our primary mission is to provide our clients with excellent service. Our mission. Your experience. Whether it is a new vehicle or one you have loved for several years. 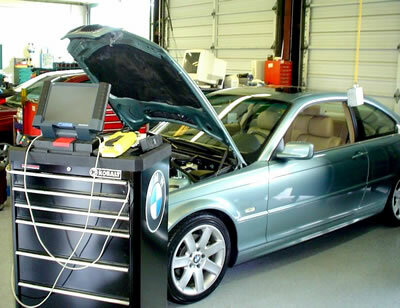 We can perform all scheduled inspections and major service work on all your German vehicles. German Import Service is a family owned and operated business that was established in 1978, in Simi Valley. It was the first independent German auto repair shop to specialize in Mercedes, BMW, Porsche, Audi, Mini Coopers and Volkswagen. With over 38 years in business, we pride ourselves on providing excellent service and customer satisfaction. We offer exceptional customer service, and high quality repairs on everything we do.